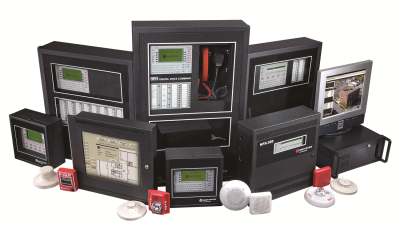 M&L Technical Systems has the experience to design, install, and service your fire detection and alarm system. We can integrate your fire alarm system with an Emergency Communications System (ECS) or Mass Notification System (MNS) to provide the early warning detection and notification required to save lives and protect your property. Our NICET certified designers provide the best detection and notification technology for your facility and application. Advanced detection may include intelligent multi-criteria detectors, laser detectors, or aspirating smoke detection. Together with our factory-trained and NICET technicians, we ensure your system is designed and installed to the current building codes and standards.